Moving to a new house can be an overwhelming task to undertake. However, with proper planning, you will be able to accomplish this project seamlessly. If you’re able to organise your possessions and successfully execute household waste removal in advance, you will be able to turn this stressful activity into a memorable life experience for your family. Hire a skip bin from A’n’K Budget Bins and plan your move accordingly so you can make it a less stressful experience. 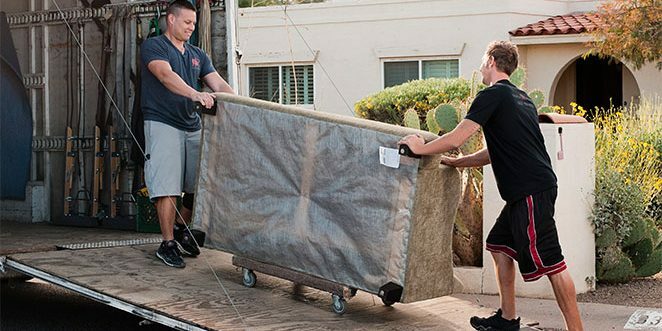 Here are some tips we’ve prepared that will help you efficiently move house. Eight weeks prior to your move, it is ideal to sort your items and belongings. It would only cost you money, time and effort if you move things that you no longer need. Go through your garage, shed, and other storage spaces and determine what you should dispose of, donate or sell. The rest of your belongings should be items you need to bring with you to the new house. They should be organised and ready for packing. The ideal time to plan your travel is six weeks prior to the actual move date. Even if you’re simply moving to a new neighbourhood within the same city, it is still advisable to ensure that everything’s sorted and ready before the move. You should also start shopping for packing supplies six weeks before your move. Remember to purchase enough boxes for all the items you’re bringing to your new house. There are moving companies that sell boxes, but you can always go to grocers, supermarkets or hardware stores to get packing supplies. However, it is worth noting that the latter would always be the more affordable option. Once you’ve organised all your items and identified which ones you should throw away, donate or sell, it would be time to call A’n’K Budget Bins and hire a skip bin. We will deliver the bin right at your doorstep, and once you’ve filled it with the items you need to throw away, you can contact us and schedule a pick-up. Our team will pick up the bin and bring your rubbish to a sorting facility for salvaging and recycling. Two weeks before the actual move date, do not forget to inform companies, banks, organisations, friends and relatives about your new address. This is also essential in ensuring that all important mails will be delivered to the right address. We usually recommend skip bin sizes 3m³ or 4m³ when clients are doing a small clean-up or are moving to a new house. However, there are many other residential uses for skip bins. Take a look at the items below so you will know when you can take advantage of a skip bin. When renovating a bathroom, people typically dispose of old shower screens, cabinetry, tiles, curtain rail, toilet or even a bath. We usually recommend a 2m³ skip bin for single room renovations. This skip bin size is equivalent to one and a half trailer. Skip bins for kitchen renovations depend on the size of the space. Rubbish coming from this project typically consists of bench tops, cabinetry, floor coverings and wall tiles as well as appliances like a dishwasher or a stove. In this case, a larger skip bin like 3m³ or 4m³ would be advisable. You have to get a skip bin that is ideal for the scale of the renovation or building project you’re undertaking. When it comes to projects like these, bigger skip bins are always better. Construction projects tend to produce more waste so we recommend that you get either an 8m3 or 10m3 skip bin. When doing a major landscaping or garden clean-up project, a bigger skip bin size is always ideal. It is worth noting that twigs or branches are difficult to compact and you have to cut them into smaller pieces if you want to fit them inside a smaller skip bin. In general, you can hire a 5m³ or a 6m³ skip bin for this type of project. In home extensions or larger renovations, a lot of foundation work has to be removed and piles and piles of rubbish are produced. In deceased estates, some family members choose to completely clear out their relative’s home or unit. Large amounts of unwanted items and construction rubbish can be dealt with using bigger skip bin sizes like 8m3, 10m3 or 12m3. If you’re still having trouble deciding what size of skip bin you should hire, give us a call and our team will guide you with the best option. Whether you’re moving to a new house or you’re renovating your home, we have the ideal household waste removal solution for you.